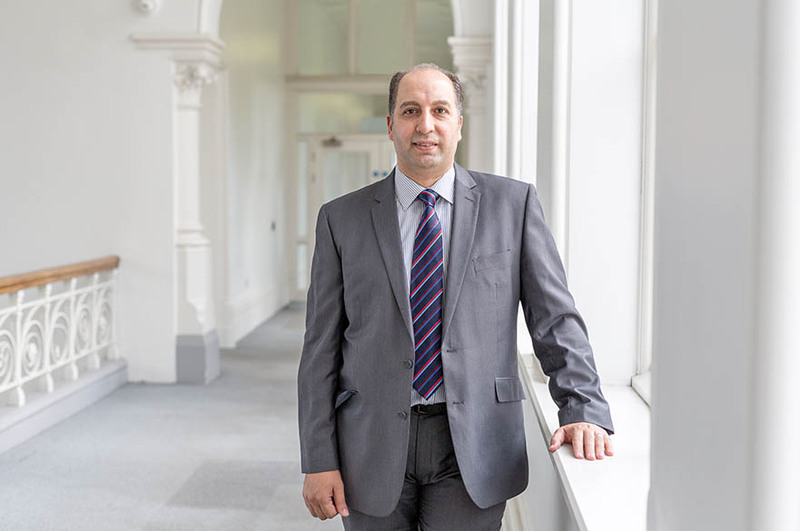 Professor Mohamed Gamal Abdelmonem is Chair in Architecture at the School of Architecture, Design and Built Environment at Nottingham Trent University. He is contributing to teaching Architecture courses and supervision of PGR students. At Nottingham Trent University, Gamal is leading the development of the University’s Research Theme Global Heritage: Science, Management and Development a research team that aims to engage with and produce strategic research projects with evident global impact on improving Heritage Conservation and preservation strategies on the international and cross boundary levels. His world leading research is currently leading partnerships and consortium teams that include several American, British, European and Middle Eastern Universities and research organisations, and specialist industries. Professor Abdelmonem advises several governments and international organisations in Ireland, Egypt and Kingdom of Saudi Arabia on aspects of sustainable heritage preservation, urban planning and design. Prior to joining NTU, he was Head of Digital Heritage Unit, Head of Architectural Humanities and senior lecturer of architecture at School of Architecture and Built Environment at the University of Wolverhampton. He led design studios and Architecture Courses at Queen’s University Belfast and taught design studio and architecture theory at Sheffield School of Architecture, where he completed his PhD in Architecture. He has also practiced architecture on the global level for over 20 years with his designs features across Africa, Asia and Europe. He was the Course Leader for BSc (Hons) in Architecture at Queen’s University Belfast and was Visiting professor at prestigious Universities, including Royal Academy of Arts in Londond and the University of California at Berkeley. He acted as Advisor at Heriot Watt University (Dubai Campus), Architecture course and as External Examiner at the University of Sheffield University and University of Stratchlyde. Professor Abdelmonem is a leading international scholar in architectural heritage. He received the International Association for the Study of Traditional Environments (IASTE) Biennale’s Jeffrey Cook Award (2014) for his scholarly research on traditional urban environments. He also an Expert for the European Research Council’s Horizon 2020, peer-reviewer for Routeldge, Ashgate, Built Environment and TDSR, and sits on several International Research Committees, Board of Advisors and professional societies. Professor Abdelmonem’s research focuses on the investigation of socio-spatial practice of urban environments, the architecture of home, spatial memory, politics of urban space in everyday life, Digital Urban Heritage, Digital Modelling and the Pedagogy of Architectural Studio. At Nottingham Trent University, Gamal is leading the development of the University’s Innovative Research Theme Global Heritage: Science, Management and Development a research team that aims to engage with and produce strategic research projects with evident global impact on improving Heritage Conservation and preservation strategies on the international and cross boundary levels. Gamal is an EU-Expert and Referee for Horizon 2020 Panels and for Journals and publishers such as Built Environment, and Routledge. He is also the Principal Investigator of the flagship of interdisciplinary and international network: “Spaces of Liberation” with academic researchers in the field of urban resilience with UCL and UC-Berkeley as key partners, and the Director of Virtual Heritage Cairo, Network, an Arts and Humanities Research Council (AHRC) funded network. He sits on several editorial boards of academic journals, research associations and conferences’ Scientific Committees worldwide as well as reviewing for top journals and book publishers such as Routledge, Journal of Traditional Dwellings and Settlement Review (TDSR), International Journa of Middle Eastern Studies, and HEA’s Journals for the Built Environment. Professor Abdelmonem led several research grants, funded projects, and governmental consultations with international and national research councils and funding agencies. Gamal is the lead author of several Government Policy Documents, produced by the funded Project: “Local Area Plans: Planning Guidelines and Best Practice" Manual, adopted by the Irish Government as an official government policy with evidence and well-documented impact across Ireland. He is currently leading a newly-developed ‘Digital Heritage Unit’ at UoW’s Faculty of Science and Engineering, with a series of winning grants such as the Arts and Humanities Research Council (AHRC): ‘Cultural-feed of Virtual Heritage’ (CfVH), a ground breaking New technological application for “Heritage Preservation”. Board Member, Queen St. Town Heritage Partnership, Lottery-Heritage Fund, 2015-Present. Registered EU Research Expert & Referee for Horizon 2020: 2014 for Humanities & Social Sciences Boards of Experts. Book Referee, 2015, Routledge; Adler, G (ed. ), “Riverine”. London: Routledge. Member, Steering Committee, Architectural Humanities Research Association, (2011-2013). Advisory Board, International Association for the Study of Traditional Environments, Biennale conference 2014, “Whose Tradition?” University Putra Malaysia, Kuala Lumpur Malaysia. Scientific Committee member, 2015, The National Build Heritage Forum on Saudi Arabia, Al-Qassim, August 2015. 2014 Jeffrey Cook Award Holder, the high profile Research Award of the the International Association for the Study of Traditional Environments (IASTE) for the best and groundbreaking paper by a scholar in the field of Traditional Environment and urbanism. (Award Value: $1200). Awarded Paper: “Cairene Homes of Modernity: The Changing Architecture of the Home in Early 20th Century Cairo”. Selim, G., Abdelmonem, MG, 2016, “Spatial Narratives of Revolt: Public performance during anti-nuclear protests in Tokyo”. Funded Project, London: Japan Foundation, Final Report. Krawczyk, E., Abdelmonem, M.G., 2013, “ICT developments impacting on older people’s living conditions and environment”, Value Ageing, EU-FP7 Marie Curie research Project, Final Report. Abdelmonem, M.G., 2016, “Chase over the Nile: The Social Evolution of riverine landscape in Urban Egypt”. In Silva, C.N. (ed. ), “Urban Planning in North Africa”, London: Routledge, pp.157-170. Abdelmonem, M.G., 2016, “The Modern Ordinary: Changing culture of living in Egypt’s traditional quarters at the turn of the twentieth Century”. Middle Eastern Studies, Vol. 52, No. 5, pp.825-844. Abdelmonem, M.G., 2016, “FromPropagation to Negotiation of Ideologies in the Architectural Design Studio: Critical Insights in student-centred strategies for Interactive learning”, Journal of Design Research, Vol.14, No.1, pp.1-21. Abdelmonem, M.G., 2016, “The Abject Dream of New Capital: Capitalist Urbanism, Architecture and Endangered Liveability of the Middle East’s Modern Cities”. Open House International, Vol. 41, No.2, pp.38-46. Abdelmonem, M.G., Selim, G., 2016, “Legitimizing Memories and Spaces of Urban Heritage: Procedural Strategies for Active Preservation of Traditional Quarters in the Arab City”, Traditional Dwellings and Settlements Review, WPS, Vol. 280, pp1-17. Mohamed, A.K., Abdelmonem, M.G., & Selim, G. (2016). “Understanding Walkability in the Libyan Urban Space: Policies, Perceptions and Smart Design for Sustainable Tripoli”. World Academy of Science, Engineering and Technology. International Journal of Civil, Environmental, Structural, Construction and Architectural Engineering, 10(12), 1602-1610. Abdelmonem, M.G., 2015, “Transcending Boundaries of Creativity: Active learning in the Design Studio”, International Journal of Architectural Engineering Technology (IJAET), Vol. 1, No.1, pp 38-49. Abdelmonem, M.G., 2015, “The Territories of Identity: Architecture in the Age of Evolving Globalisation”, Book Review, Traditional Dwellings and Settlements Review, Vol.27, No.1, pp92-93. Abdelmonem, M.G., 2015, “Conserving the Relevance of Heritage: Corrective actions for sustainable historical fabric of the Arab city”, In AlNaim, M. (ed.) Research and Heritage, Vol.5, Riyadh: National Built Heritage Forum. Al-Thahab, A., Mushatat, S., Abdelmonem M.G., 2014, “Between tradition and modernity: Determining spatial systems of privacy in the domestic architecture of contemporary Iraq”. International Journal of Architectural Research, Vol. 8, No. 3, pp 238-250. Ibrahim, R.I., Mushatat,S., Abdelmonem, M.G., 2014, “Authenticity, Identity and Sustainability in Post-war Iraq: Reshaping the Urban Form of Erbil City”. Journal of Islamic Architecture, Vol.3, No.2, pp 58-68. Abou ElFadl, B.R., Abdelmonem, M.G., 2014, “Revolting Arts or Spatial Democracy: Performances of popular arts during the Egyptian Revolution?” GAU Journal of Social and Applied Sciences, Vol.6, No.10, pp.444-470. Selim, G., Abdelmonem, M.G., 2013, “The disrupted Space: Safety & Security in traditional contexts”, Lonaard, Vol.15, No.3, pp.36-51. Abdelmonem, M.G., 2013, “Portrush: a Mission for the Architectural Studio”, in Abdelmonem, M.G. (ed. ), “Portrush: Architecture for the North Irish Coast”. Belfast: Ulster Tatler.